Venezuelan President Hugo Chavez has passed away at the age of 58 following a two-year fight against cancer and a severe respiratory infection. His untimely demise raises serious questions about the future of the oil-rich Latin American power. The president of Venezuela died on Tuesday afternoon, Vice President Nicolas Maduro has announced. "It's a moment of deep pain," he said, accompanied by senior ministers. Foreign Minister Elias Jaua has announced in televised comments that Maduro will assume the interim presidency. Elections are to be held in 30 days, he added. The country’s military chiefs appeared live on state television to pledge their loyalty to Maduro, whom Chavez had named as his preferred successor. The national army has been deployed to ensure the Venezuelan people’s sovereignty and security, Venezuelan Minister of Defense Diego Molero said. Venezuela will observe seven days of mourning after the leader's passing. 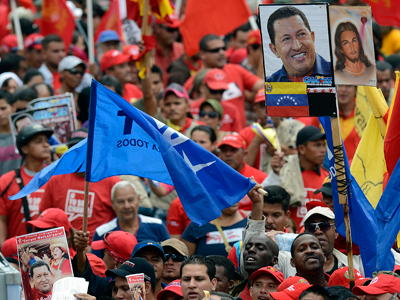 Thousands of Chavez supporters have taken to the streets across the country to mourn their late president. The news comes weeks after Chavez returned from Cuba, where he underwent the fourth cancer operation. His 'delicate condition' had recently worsened due to complications from a respiratory infection, with official reports stating he was breathing through a tracheal tube and unable to speak. Venezuelan opposition leader Henrique Capriles, whom Chavez defeated in last year’s elections, has called for national unity in the wake of the president’s death. "My solidarity is with the entire family and followers of President Hugo Chavez, we call for Venezuelan unity at this moment," Capriles wrote on Twitter. "We are not celebrating death," Ana San Jorge, a 37-year-old Venezuelan immigrant explained, "We are celebrating the opening of a new door, of hope and change." There are currently some 190,000 Venezuelan immigrants in the United States. One of the world’s best-known socialist leaders and a staunch critic of the United States, Chavez had been battling the disease for nearly two years, undergoing four surgeries and several sessions of chemotherapy in Havana. Despite his ailing health, Chavez was reelected in November 2012 to a fourth term. However, he was not able to attend his January 10 inauguration ceremony, which cast doubt on the succession of power in the country. Prior to his death, the Venezuelan opposition called for a new election should Chavez be unfit to take office. The Cuban government declared two days of national mourning and ordered the flag to be flown at half-mast. “The Cuban people view him as one of their most outstanding sons,” President Raul Castro’s office said in a statement. Argentina also announced three days of mourning nationwide as the country’s President Cristina Fernandez and the President of neighboring Uruguay Jose Mujica prepare to travel to Venezuela for the funeral. Another of Chavez’s close allies, Ecuadorian President Rafael Ortega, praised the legacy of the Venezuelan president. “We have lost a revolutionary, but millions of us remain inspired,” he said. Chavez’s popularity extended much further than Latin America, James Petras, professor of sociology from Binghamton University, told RT. 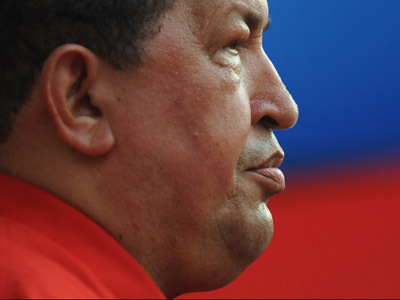 “In fact President Chavez was loved not only by Venezuelans but throughout Latin America. And even in the US, outside of very limited circles, like Miami and some other immigrant places,” he said. 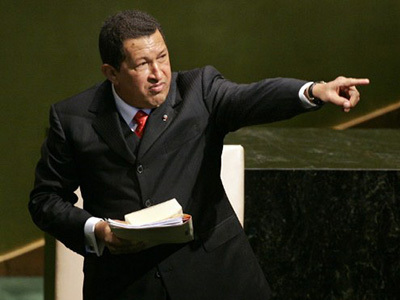 Outside of US media reports Chavez was seen as a good leader and reformer, Petras asserted. “Working people in Europe, the US, Asia and certainly in the Middle East looked up to Chavez as someone who represented developing welfare program in the face of the Western countries reducing the welfare expenditures, cutting pensions and eliminating medical coverage,” he explained. Reacting to Chavez’s death, US President Barack Obama said the US was interested in a "constructive" future relationship with Venezuela. "At this challenging time of President Hugo Chavez's passing, the United States reaffirms its support for the Venezuelan people and its interest in developing a constructive relationship with the Venezuelan government," Obama said in a brief written statement. Former US President Jimmy Carter praised Chavez for his strive for independence and influence in the region. “President Chavez will be remembered for his bold assertion of autonomy and independence for Latin American governments and for his formidable communication skills and personal connection with supporters in his country and abroad to whom he gave hope and empowerment,” he said in a statement. But some US politicians sharply disagreed with this estimate of Chavez’s policies. 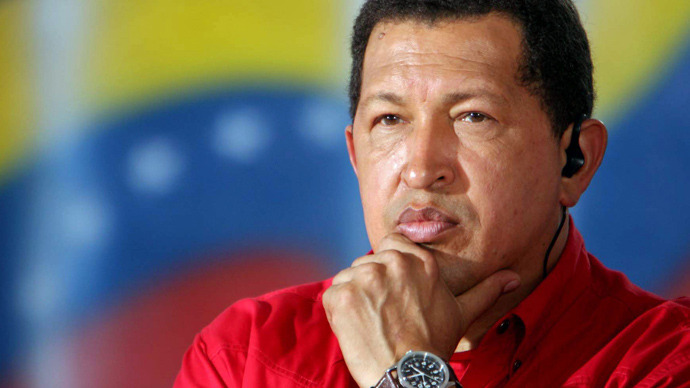 “Hugo Chavez was a tyrant who forced the people of Venezuela to live in fear. His death dents the alliance of anti-US leftist leaders in South America. Good riddance to this dictator,” US Representative Ed Royce, Republican chairman of the House Foreign Affairs Committee said. “Poor people around the world lost a champion. I lost a friend I was blessed to have. 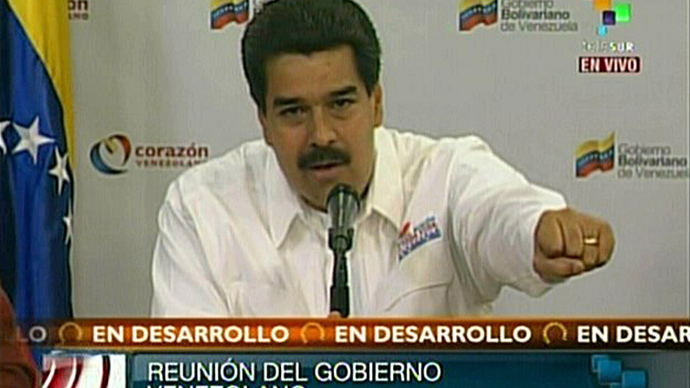 My thoughts are with the family of President Chavez and the people of Venezuela,” Penn said in a statement. UN Secretary-General Ban Ki-moon offered his “deepest condolences” to the people of Venezuela on Wednesday. Russia’s President Vladimir Putin, who met with Chavez numerous times, expressed his deep condolences and praised the deceased leader for his achievements. “He was out-of-the-ordinary and a strong man, who looked into the future and always set the highest standard for himself,” he said in an official telegram to Venezuela. "He finally died from a suspicious illness and he gave his life... to the elevation of his country and the freedom of his people," Ahmadinejad said in a message of condolence. "Venezuela lost its brave, strong son and the world lost a wise and revolutionary leader," he concluded.